Nexus One getting Gingerbread now? 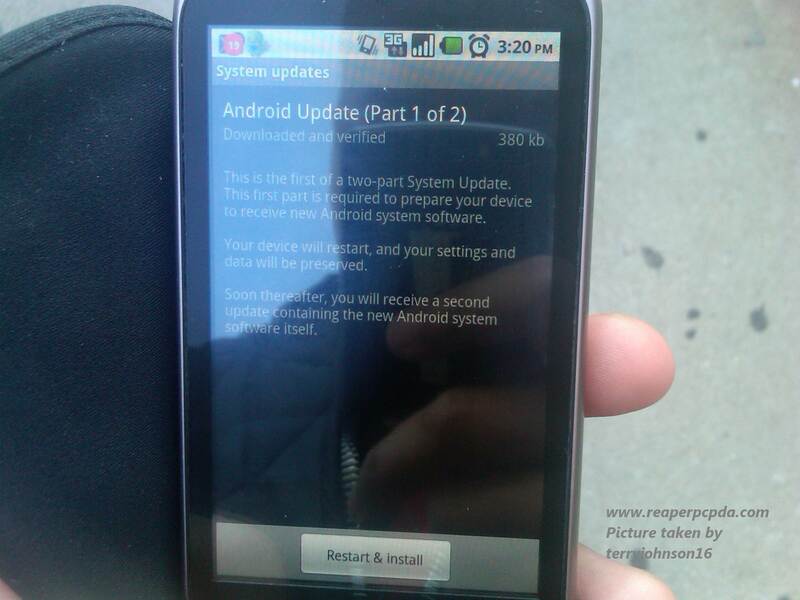 Yesterday terryjohnson16 got a message on his Nexus One showing the following. Is this a sign that the venerable Google flagship phone will soon be getting Gingerbread? 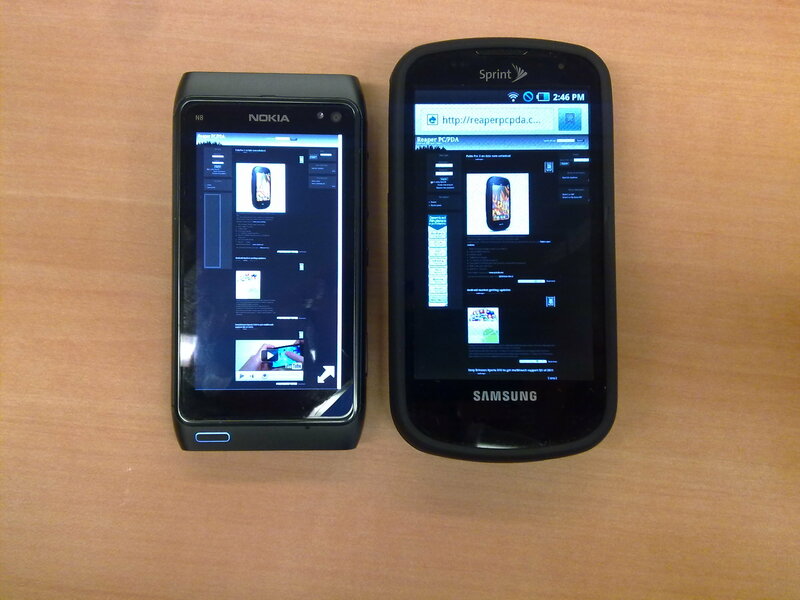 Here we have the Nokia N8 on the left and the Samsung Epic 4G on the right. Read on for a comparison breakdown of the two devices. Ovi Store = 3 million a day downloads = viable alternative to AppStore? 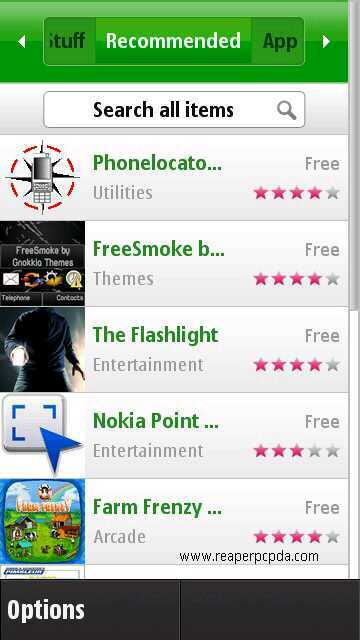 Today, Nokia announced that they are seeing 3 million downloads a day on the Ovi Store along with some other statistics. This has been achieved in a relatively short time considering that the Ovi store launched in May of 2009. At under 2 years old the store is seeing growth in leaps and bounds now that Nokia has streamlined the development process and focus on the Qt development environment. That being said, they also announced that the Qt development tools have sen a total of 1.5 million times. In the past 12 months Nokia has seen 400,000 new developers sign on. Some quotes coming out of Ovi platform developers suggest that they are getting better results on the Ovi store than they are on Apple's AppStore. "Without any promotion or marketing dollars, in a few weeks we've hit 200 000 downloads in Ovi Store faster than we did with App Store,"
"We're very positively surprised with what we've seen on Ovi, and we're on track to exceed our App Store performance even though we've been there longer." HP now has the Palm Pre 2 available for sale unlocked in their store. The price is $449 up front or $13 a month on a business lease. Oddly enough, at the time of writing this, the device was not available for sale through Palm's own website. Google has announced today that it will be updating the Market place today. For hours developers will be unable to make any updates until this process is complete. Google has not said why now, but it is likely this is all in preparation for Gingerbread. From the information that has been floating around the mobile news community, it is likely that Gingerbread (aka Android 2.3) will be released within a few weeks time. This is the unboxing of the Motorola Milestone XT720, now available in up to 720p. Enjoy! 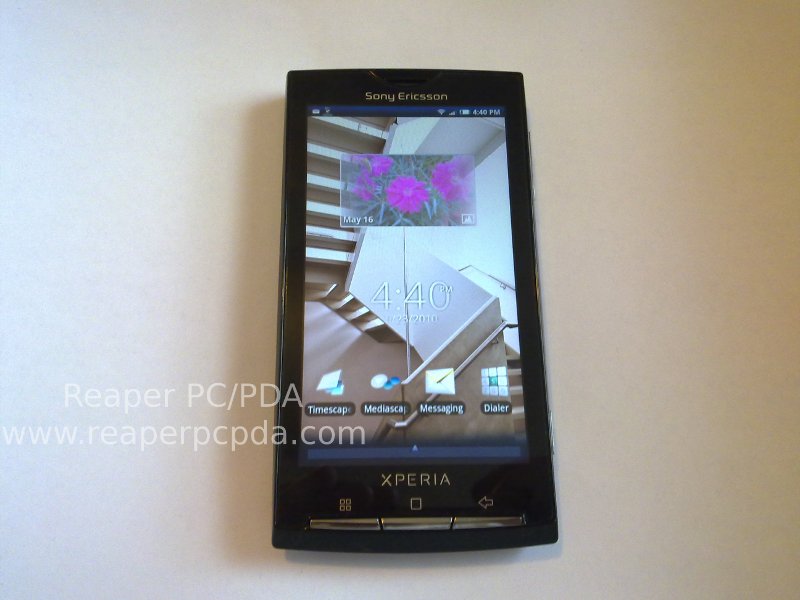 Sony Ericsson confirms X10 Android 2.1 is rolling out. 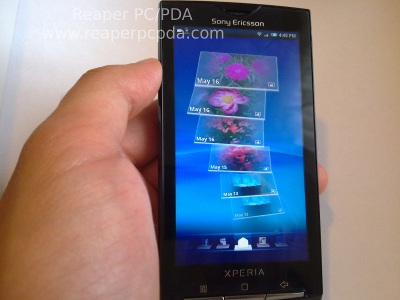 Sony Ericsson released a press release stating that the Android 2.1 updates are slowly rolling out to X10 variants across the globe. This includes the x10, the x10 mini and the x10 mini pro. The Xperia X10a is Sony Ericsson's first foray into the crowded Android smartphone universe. So how does their intro unit stand up to competition? Read on to find out. Early this morning (at least in my time zone) Nokia announced that they are shipping the Nokia N8 out to those that have pre-order and then all other channels will start receiving the handset. After the initial delay, they stated that they would still make it by late September, and that they have. Right on the last day handsets are going out to the lucky early adopters. Already an unboxing has appeared online of the device.